Thanks for sharing this. I've got a friend who's interested in homebrewing, and we might enjoy a project like this. This is a very neat design and I am inspired to construct it. I have one question, though. It appears that the pin numbers on the LM386 are incorrect, specifically pins 1 and 2 appear to be swapped. Am I correct or is this just the different way the pins are being used on the LM386? Mac, you might be right about the LM386, I haven't heard a peep out of the receiver. 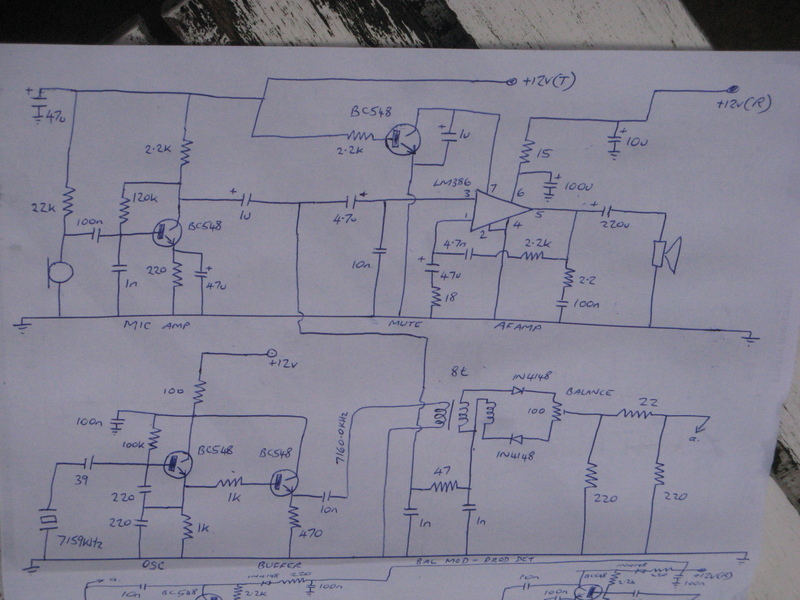 I've been concentrating on getting the transmitter side going so far. 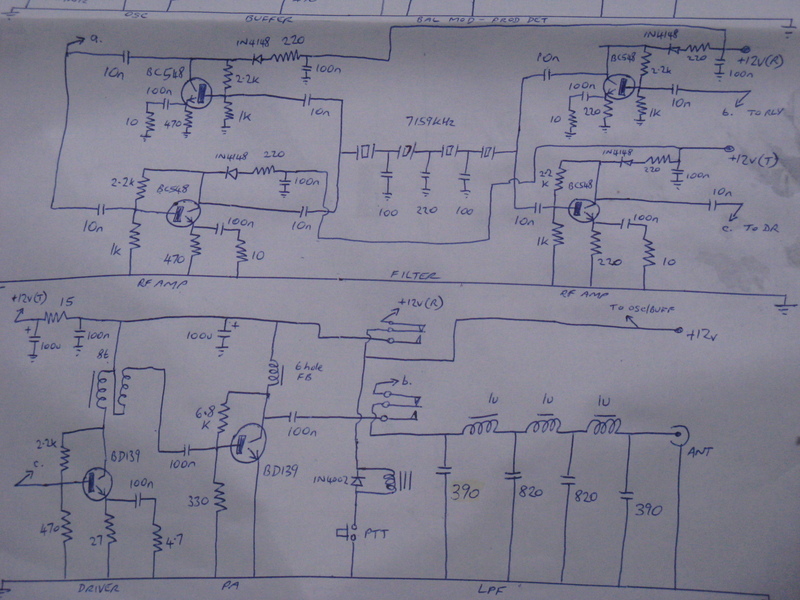 This is SSB transceiver ? 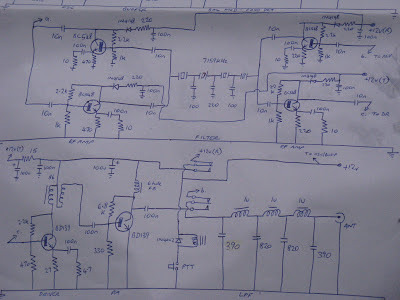 but no BFO on schematic , Why ? This is the simplified BITX with relay. Is this direct conversion transmitter/receiver? so the OSC actually BFO ?